9.13.2018 'Bernstein' on the Move! It was a bittersweet goodbye as we closed Leonard Bernstein: The Power of Music earlier this month. But we’re thrilled to see it begin its national tour! The first large-scale exhibition to document Bernstein’s life, work, Jewish identity, and social activism, containing approximately 100 historic artifacts, will open October 4 at Brandeis University. It will be free and open to the public through November 18, 2018. Next year, the exhibition will be on view at the Maltz Museum of Jewish Heritage in Beachwood, OH, beginning September 22, 2019 through February 22, 2020. The arrival of this exhibition will symbolize Bernstein’s return to Brandeis University, where Bernstein was an influential member of the music faculty and the founder of the university’s Festival of the Creative Arts, which today honors his legacy as an artist, an educator, an activist and a humanitarian. The exhibition will be free and open to the public. The Maltz Museum uses a Jewish lens to explore diversity and tolerance in Ohio and throughout America. Leonard Bernstein: The Power of Music will complement the Maltz Museum’s core exhibition, which explores the uncertainty and hope many American Jews experienced in the twentieth century. 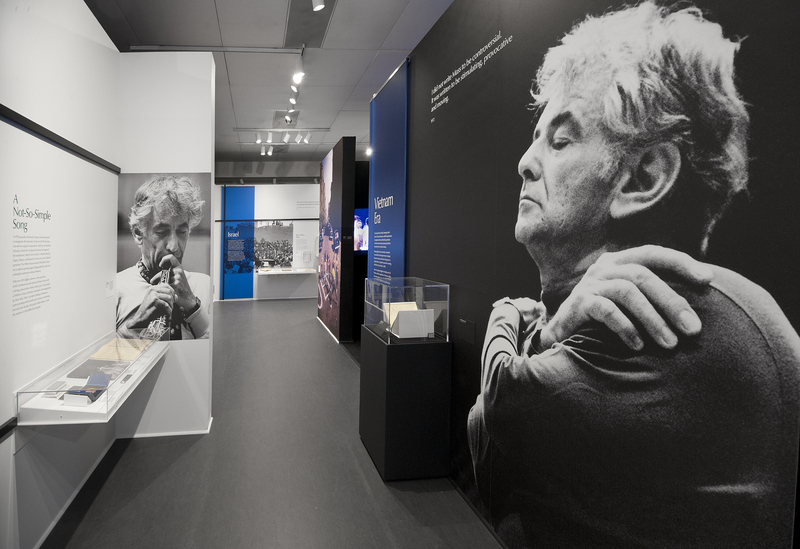 Installation view of Leonard Bernstein: The Power of Music at NMAJH. Photo by Jessi Melcer.